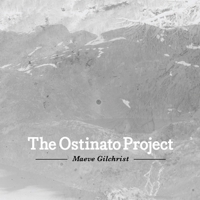 The Ostinato Project is Boston-based Scottish harpist, Maeve Gilchrist's debut solo recording. Produced by the acclaimed Armenian-born jazz pianist Vardan Ovsepian, the album is, says Maeve, “a series of seven original compositions and one cover [Moon River] aiming to utilize both of my hands as individual voices. An exploration and celebration of my instrument, the lever harp, these works are focused on texture, color and hopefully, beauty". All music composed and performed by Maeve Gilchrist (except track 5, Moon River, composed by Henry Mancini). Maeve is playing a Thormahlen Ceili Harp on this recording.